I have installations of Opera. One is v50 Beta and is on my Win7 machine. 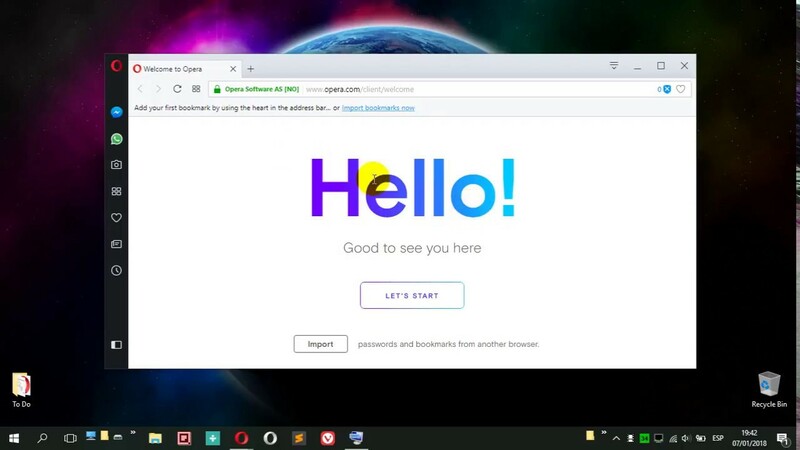 The other is Opera 50 on my Windows 10 machine. On the Win7 machine, the bookmarks were imported into Opera and right into the bookmarks bar. On the Win10 machine, the bookmarks are nowhere to be found except buried in an HTML file. Why did the bookmarks import correctly on the one but not the other? The bookmarks all came from the same version of Firefox 57 and I used the Import Bookmarks routine from the settings menu. What's going on? Delete them and try again. If your Opera install has no custom settings yet, try deleting the profile and start over. | Rename or delete the profile folder. Other option could be exporting from FF as HTML, then import them from Opera. @zalex108 Didn't work. Uninstalled Opera 50 completely. Ran Uninstaller Pro and Ccleaner to wipe all registry and file entries. Reinstalled Opera. On Hello! screen selected Import. Opened Opera and selected display bookmarks bar(which should be the default). Nothing. Nada. Zip. You can export them from the W7 installation and import them, or reorder the current imported from the FF. At least to start to work, then you'll need to wait for an answer from somebody knowing the reason or do some more tests. Here worked fine from an HTML, but my FF version is Portable so cannot be detected. You can report that behaviour on the Blogs, so it should work the same way as W7 does. @zalex108 Tried the Export as HTML then import, but they and up as a single file that's a bear to get thru. Is that the way it should look? Odd it worked fine for W7 but gets bunged up in W10. OH wait, we're talking Microsoft software. How silly to think to versions would work the same. The HTML would be formatted indicating the Bookmarks tree, at least it happens like this here. But once you have your Bookmarks fine on W7 you can try exporting them or even more, copy/paste the Bookmarks file from your Opera W7 profile into your W10 profile. At least to skip the importing problem. I discovered a very simple and effective solution. I stuck a USB drive into my Win7 box, copied the entire Opera Next folder from Users/appdata/Roaming and then pasted the entire folder into the Opera folder on my Win10 box. VOILA! The two browsers are now identical. Now if I can just get Opera to flush its cache when I close it like a good little browser all would be right in the ether. But keep a back up of the profile. I've used that way before but gave me problems because of sync and the Machine, so in the preferences there is an ID for the machine that is not the current one. Maybe now it renames the ID + Machine's name, but, keep that in mind.